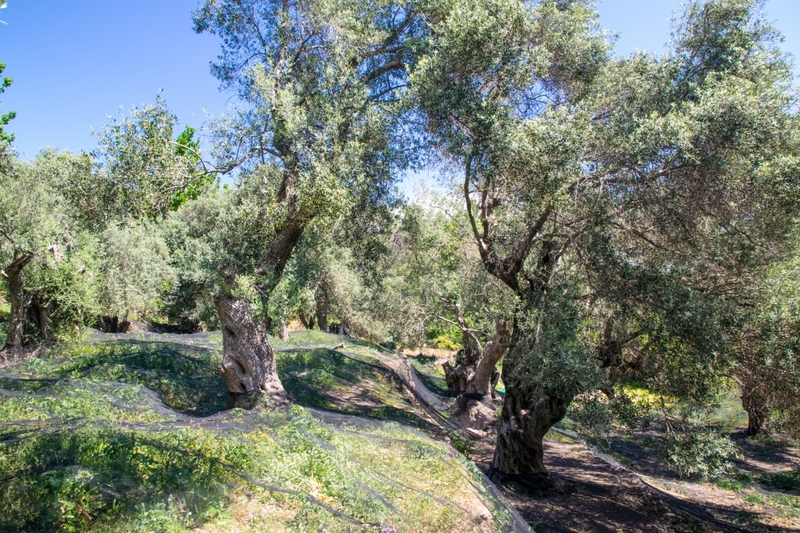 Our olive groves are located next to the ancient city of Elyros in the rocky, mountainous area of Selino in the prefecture of Chania on the island of Crete, at an altitude of 500 to 700 meters above sea level. Most of them are very difficult to reach, since there are no roads leading to them. Our ally in this effort is the ideal microclimate of the area: sunny and windy while the trees start to blossom, with cold, rainy days naturally protecting them from disease and feeding them before the harvest.